It’s quite poignant that on Mental Health Awareness week, that I have decided to discuss aspects of the positive contribution that the game of snooker could give to the professionals that play the game and to discuss the phenomenon of fear and anxiety around winning or losing in snooker. Alongside my research study in collaboration with World Snooker on an extensive research study around mental health awareness in snooker, I felt the need to explore aspects of mental health and well-being from the lens of snooker through the professional arena of the sport. It is often commentated that there is a strong element of mental agility and toughness that surrounds the professional game of snooker and it can be argued that there is certain stigma attached to elite sporting professionals to be “mentally tough” in the sporting activities that they participate in. From the lens of a snooker professional this “mental toughness” is journeyed alone as snooker is a soloist sport, therefore the stigma attached to mental toughness is distinctively more prevalent. 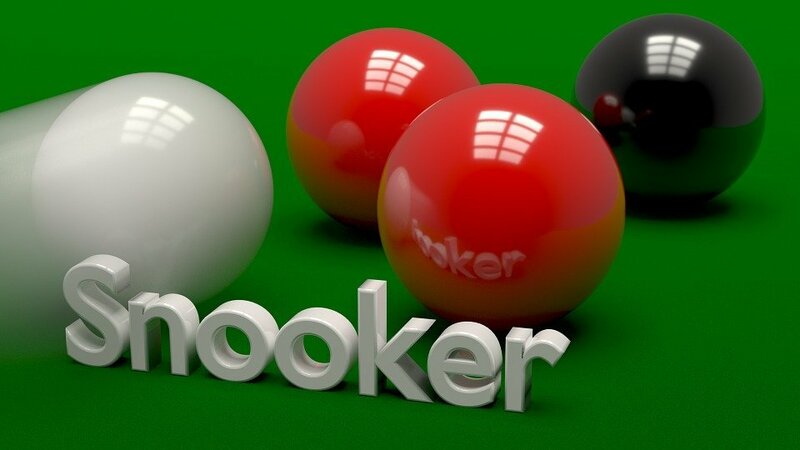 In turn, this can lead to increased levels of anxiety, depression and other issues that surround the competitive nature of the game of snooker from the professional circuit. In addition to this, when playing professional snooker, one is required to sustain a high level of concentration, a positive mental health and positive self-esteem that should be consistent through the competitive nature of snooker, so this can be quite an endurance for the brain. With any sport, there are winners and losers but what remains constant at the arms of both paradigms of winning and losing, is the notion of competition. One of the prime characteristics of competing is the level of confidence that is required by the professional snooker player. But before any competition can begin, some different themes will now be discussed to determine what constitutes to the basic shaping of the mental health environment of a professional snooker player. So, what do I mean by shaping your basic mental health environment? Shaping one’s basic mental health environment can take many angles to formulate a version of yourself, this version of one’s self from the lens of professional snooker, has the ability to balance all elements and the demands of competing in professional snooker. First and foremost, these angles compose of the concepts of the “self”. The notion of the “self” requires the professional snooker player to holistically look at themselves from a humanistic perspective. This view conjures up the essence of their self-concept, self-esteem and self-efficacy. So, how a professional snooker player views themselves, feels about themselves and their desire, passion and willingness to learn about themselves, contributes to how well they may perform. The goal for any snooker professional is without a doubt, to win and succeed. But in order to have a winning mentality, the most important aspect to any sporting game is to first overcome the fear of losing. Some say that losing is not an option, but other writers would certainly state that to lose at a level of professional play, especially in snooker, as it’s a soloist sport, is part of the learning and development of one self. So, when you are winning there is a lack of fear of losing, this translates that you have assumed a care free mind. This is evident when you watch professional snooker players pot in that certain ball that gets them over the line, leaving their opponent needing snookers or to concede, as they have jumped the winning hurdle. This invisible line is determined by the number of points that the snooker player has scored to ensure that they have securely won the frame of snooker. Once this line has been crossed you see the care free mind of the snooker player come into action. Some professional players choose to be exhibitionists with the last few points that remain on the table, some professionals are determined to “clear up” the remaining balls on the snooker table, so as to show their opponent their determination to win, but most of all you can evidently see that the levels of anxiety and fear have almost vanished at that point. For most sporting professionals who reach this point it can be said that they enter into a psychological zone that is inherently creative and they don’t really think about the rationale or consciousness of their actions. The zone is purely a determination to win. So why can’t this type of thinking be adopted all the time in professional snooker? Well the answer is simple; the fact remains that fear and anxiety of losing will always exist in any sport including snooker. However, most professional snooker players that have experienced being in the winning zone can reflect on their positive experiences and learn to develop better outcomes in their game. Another step in developing a positive mental attitude would be to explore a sense of positive belief in oneself by eliminating the negative self-criticisms and regret associated with losing in competitive snooker. I would suggest that if one’s belief is consistently positive the outcomes would remain positive. Beliefs in general, stem from our nurturing relationships, our memories, the distinctions between what is good for us and what is bad for us, as well as how we develop our mental health environment. From an elite sporting perspective, the belief is the expectations that we create for a desired winning outcome. This is evident in snooker when some players have been crowned World Snooker Champions on multiple occasions. To win on multiple occasions requires a positive consistency of belief in the abilities and emotions of a World Snooker Champion, and how you feel can determine the results of your actions. Your beliefs also take into account your experiences, your values and your self-concept. It can be suggested that projecting positive self-belief when playing competitive snooker will assist in the professional snooker player’s ability to determine the outcome of the game. This is evident when some professional snooker players are able to win one frame after another, leaving their opponents behind by a significant margin, so it can be suggested that self-belief is a vital tool in a soloist sport like snooker. On a final note, I would say that from these discussions the themes that have arisen around mental health and well-being, point towards shaping one’s mental health environment in a positive way. The notion of competition in snooker argues that realising and somewhat taking responsibility for the mental skills that professional players have acquired from the sport, is important in reducing the fear and anxiety associated with winning or losing. These mental health skills include a snooker player’s knowledge and development of snooker, their experiences, and most of all evaluating their experiences from a reflexive point of view. Though there are many other determinants that are relevant for the professional snooker player I would add that elements of this discussion are a basic grounding that could also be applicable to most people who participate in sporting activities.